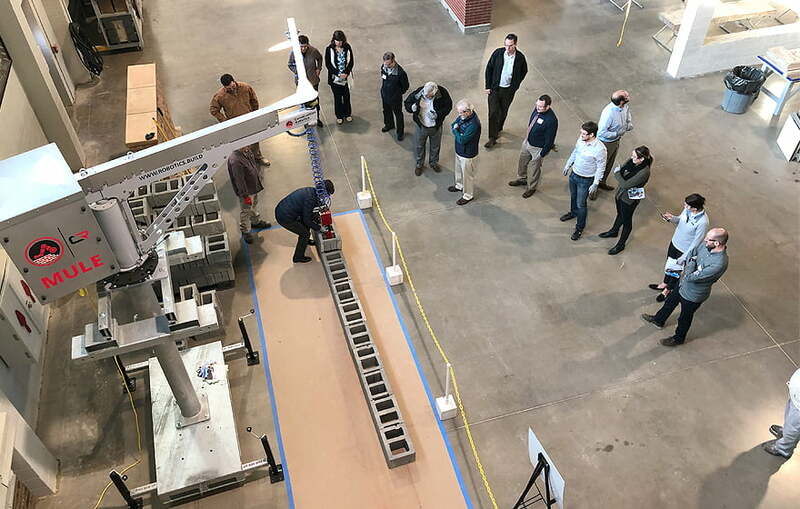 This week, RPH attended IMI’s Holiday Masonry Morning (aka Procrastinator’s Day) to earn Continuing Education credits, and learn about masonry innovation in the industry today. After several informative presentations about the efficiencies of CMU assemblies, and showing new masonry techniques in case studies around the country, we got to get our hands dirty. First we tested the MULE- new equipment that allows you to pick up CMU with minimal effort, transport and place in line with ease. Later we put together two different rain screens, seeing first hand how easy & efficient these systems can be for cladding a building. We look forward to this event every year, and it is always rewarding to get hands-on education that will make our drawings and details even better in practice. Visit our friends at IMI & take advantage of their extensive detail library and nationally-renowned training programs, click here. To learn more about the MULE, click here.